There is nothing more important than being able to get things done in time. The problem is that it seems like our time is not always enough to match our needs and this is becoming a very serious issue for a large number of people. This is combined with working hours policy issues that make it harder for overtime to be imposed by employers as their employees will quickly remind them of these policies. Time tracking has served as a way to help business owners as well as employees maintain the highest level of efficiency, and this gives them the chance to have more time for other activities. This is a great way to optimize the productivity of any business venture by tracking the amount of hours that are worked daily, weekly, monthly, yearly and so on. The process of time tracking has been done by people in all kinds of ways. Some have created time tracking systems in their notebooks, but this has proven to be an extremely difficult thing to handle. Not only that, but it’s also very difficult to get optimal results when you do this. Too many situations will cause time to be tracked improperly and this is not a good thing to deal with. The most basic form of time tracking also gives way to the ‘guestimate’ system. This means that employers have to rely on the guesses and the estimates of the people they hired as they state how many hours they have worked on any given project. Once you start seeing that using the ‘guestimate’ system or using notebooks for time tracking is not efficient enough, you will look for a good software solution that can help you get more things done. The use of Microsoft Outlook has become extremely powerful because it gives business ventures the chance to create an organized schedule. You then need to look for a good time tracking integration for Outlook. If you want to avoid the issues related to working hours policy variations, you have to manage time efficiently for your entire workforce. Once you do this, you will see that your employees are going to be making better use of their time on a daily basis and that is going to lead to a much more productive environment in general. The social as well as sometimes legal aspects of this problem can easily be avoided without making employees work for longer hours than they are actually meant to work. It will make more time for you within the scheduled working hours and that is the only thing that matters. Tracking appointments is essential for a good tracking software solution. You need to be able to have a strict timeframe that also takes setbacks into consideration. This kind of time tracking process is also perfect if you need proof of any performance issues or project delays and other similar situations that might require a report to be used for clarity. The system also needs to be able to provide quick overviews of the way that time is managed and how the working hours are being spent. This quick overview is the best way to check on things daily without having to go into complex details (which you can if you want). Those statistics and complex details can be reviewed carefully in weekly and monthly analysis sessions if you prefer so. The other important and valuable process in this kind of situation is to have a good integration and sharing system that gives you the chance to have a network of time tracking methods that create a productive environment all over the business. Integration allows for a system to become efficient enough to reach the entire workforce and this is very important. Other features that are worth noting include a strong security system that allows for controlled access to certain time tracking features for some employees, while it also maintains a high level of safety in order to protect that information. It should also provide hourly rates reports in case you need to handle hourly billed as well as fixed-fee projects, and this is going to make your cost and profit much easier to handle. 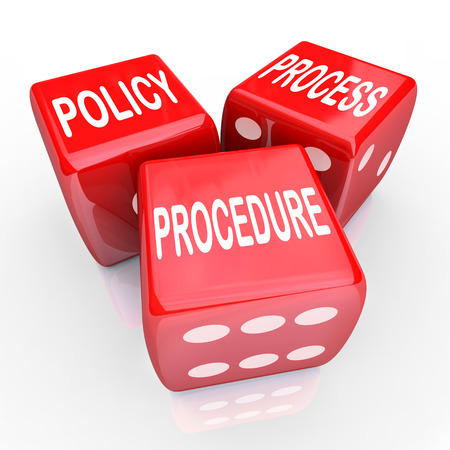 Working hours policy issues have always been a very touchy subject for a large number of business ventures. The use of time tracking systems is going to ensure that those issues are no longer a problem. Just make sure that you can find a time tracking system that is going to work with your organization and provide you with the most reliable and efficient results you can find. The time tracking software should include all of the features that we have mentioned and it should provide a seamless integration with Outlook. This is the best way to ensure results and the ultimate way to provide a robust and powerful working environment that gives you the results you need.